point-of-care ultrasound (POCUS) is used to diagnose choroid detachment in a patient whose funduscopic exam is obscured due to cataracts. Static and dynamic POCUS exam findings that may help differentiate between a choroid and a retinal detachment are described. The report endorses POCUS as a means for aiding in the diagnosis of pathologic conditions of the posterior eye. Jarrett B, Secko M. Choroid detachment, a rare cause of vision loss diagnosed by point-of-care ultrasound. J Emerg Med. 2017 Apr;52(4):527-529. Choroid detachment is a rare disease process that has a multitude of etiologies; usually related to recent ophthalmological surgery, eye trauma, corneal ulcers, or intraocular pressure-lowering agents. 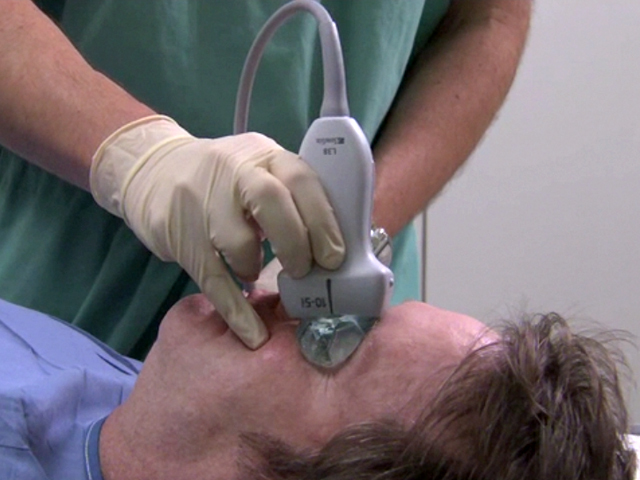 Point-of-care ocular ultrasound has high utility and accuracy in diagnosing pathology of the eye. We present a case of a patient who presented with vision loss caused by a choroid detachment diagnosed on point-of-care ultrasound because fundoscopic examination was limited due to cataracts. Ultrasound findings based on location and appearance during both static and dynamic evaluation that help differentiate a choroid vs. a retinal detachment are also described. Choroid detachments have a different sonographic appearance, as well as management, compared to a retinal detachment.